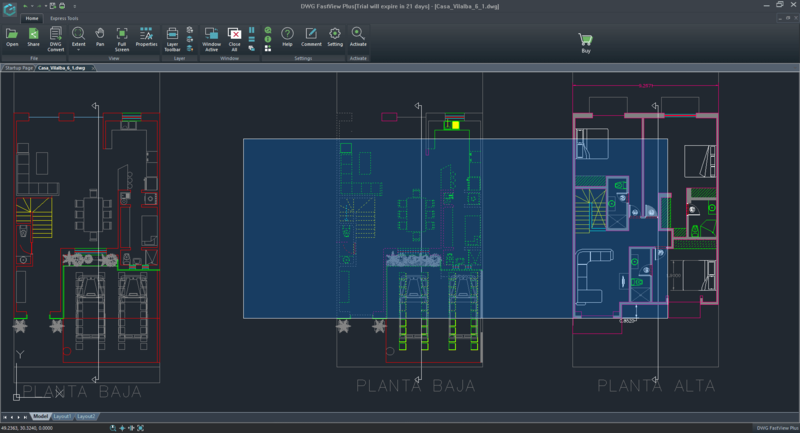 With DWG FastView Plus, it is possible to view .DWG and .DXF files without CAD software. The Plus version specifically allows you to use measure and dimension tools, and share drawings, among other features. The software in general has been designed to be an affordable, lightweight Windows program that can be used to not only view DWG and DXF files, but also use tools like zoom, measure and other data tools to get richer information about the files that you are viewing. 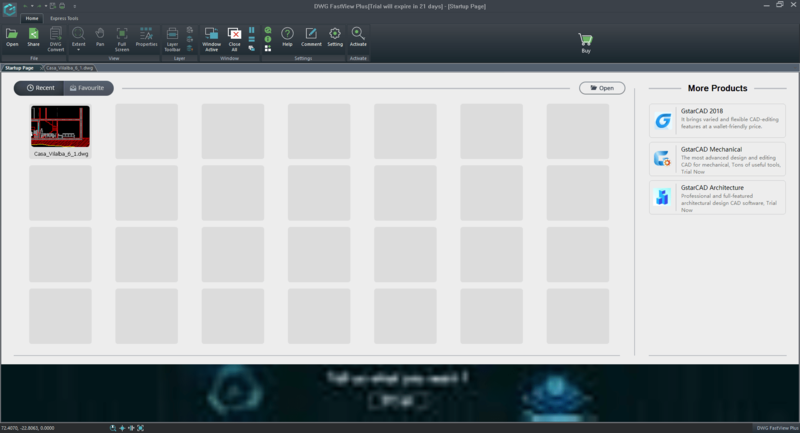 It also adds easy functionality for exporting drawings into different formats. You can also run two drawings side by side to monitor differences. 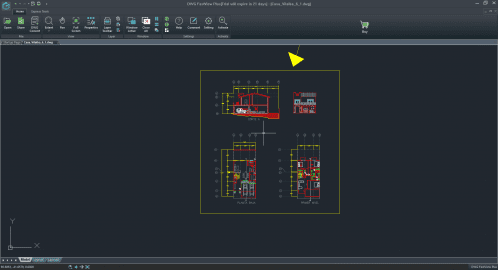 Overall, it has a wide range of features to make sharing and collaboration between different CAD software nice and easy. With DWG FastView Plus, you can also transmit your files to be printed, which makes it easy to take your drawings offline for further planning. Another note should be brought up about its affordability. 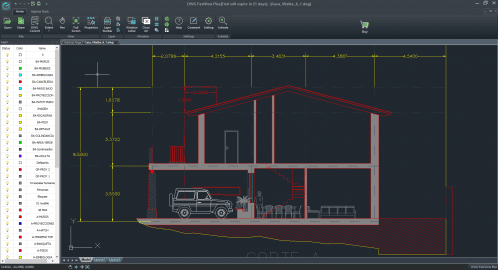 Many CAD software suites are very expensive and have limited device usage per license. 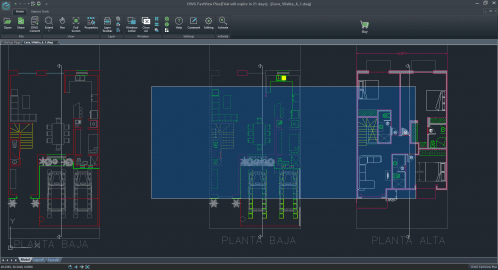 With DWG FastView Plus, you pay for the software once at a very reasonable price and you are given a perpetual license to use the software indefinitely. At this price range, there really isn't anything else like it on the market. 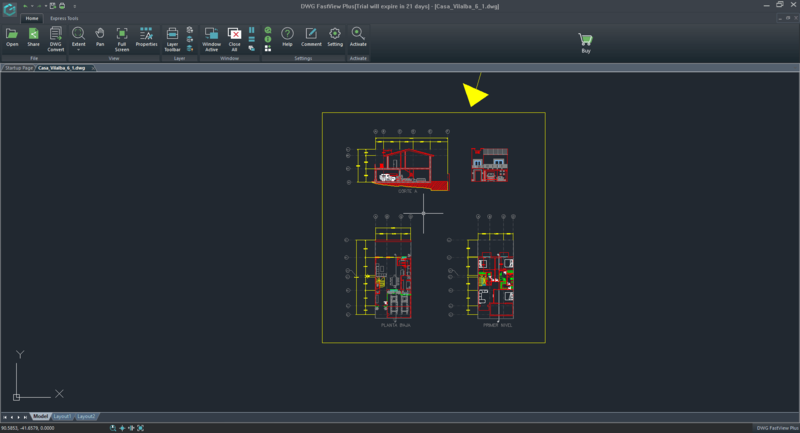 If you go in knowing that you're essentially getting a DWG and DXF viewer with extended features, you'll be happy with it. 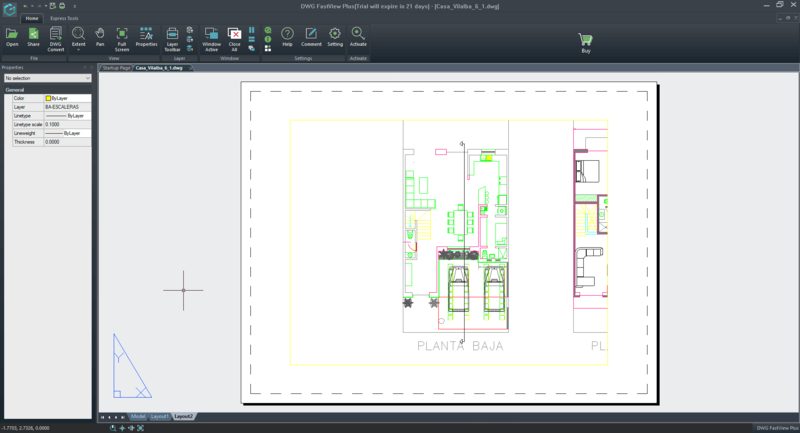 The software is not, however, a standalone CAD drawing software.